Hey folks! Right on the heels of our last amazing estate sale here in Austin, we’ve got another simply stunning sale! Estate sale held May 17-19. This sale is in East Travis Heights, think old-school Austinites who loved to collect! We’ve got tons of new-in-box vintage items. 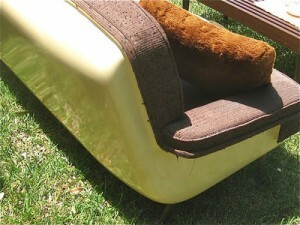 But the most unique and interesting pieces are furniture made from fiberglass boat materials! Our estate owner was in the fiberglass boat manufacturing business, and made these two sofas with boat fiberglass bubble backs. There is a brown sofa and a three-piece turquoise sectional as shown in the photos. Handmade in the 1950’s by our client, one of a kind only here in Austin. 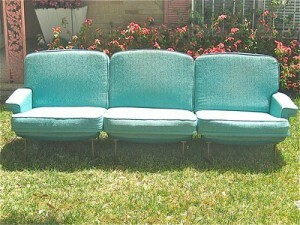 Turquoise sofa with fiberglass bubble back. 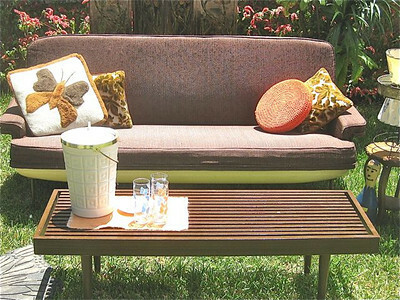 Bubble back sofa, made from fiberglass boating materials. Front of the brown fiberglass boat sofa. Like I said earlier, we’ve also tons of new-in-box items. 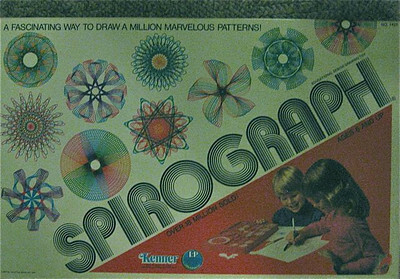 Think old infomercials, kitchen gadgets, games, toys, etc. Brand names include: Oster, Mirromatic, Corningware, Sterno, and Sunbeam. Tons of new-in-box items like this one! 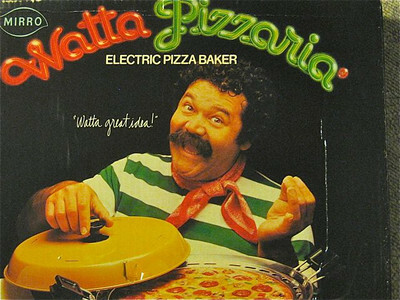 A Mirro Watta Pizzaria. Never used. We’ve also got vintage and antique linens, sewing items, vintage craft kits and crafted items, collectible Hawaiiana, vintage purses and hats, and some vinyl. Vintage hand-crafted owl refrigerator magnets. But that’s not all! 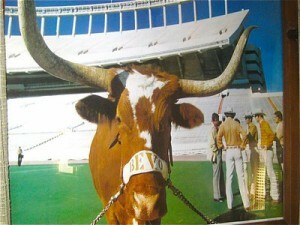 We’ve also got vintage Longhorns, over 150 cookbooks, vintage Houston Oilers, and a collection of 8-tracks. This is going to be a great estate sale for re-sellers/dealers. All items will be modestly priced, ready to sell! You can see more photos here on Smug Mug. Follow us on Facebook and Twitter. 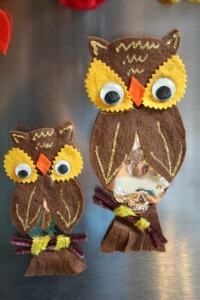 Check out my Pinterest boards. And don’t forget to sign up for our email list. Never spammy. Always given a heads up on our upcoming estate sales.